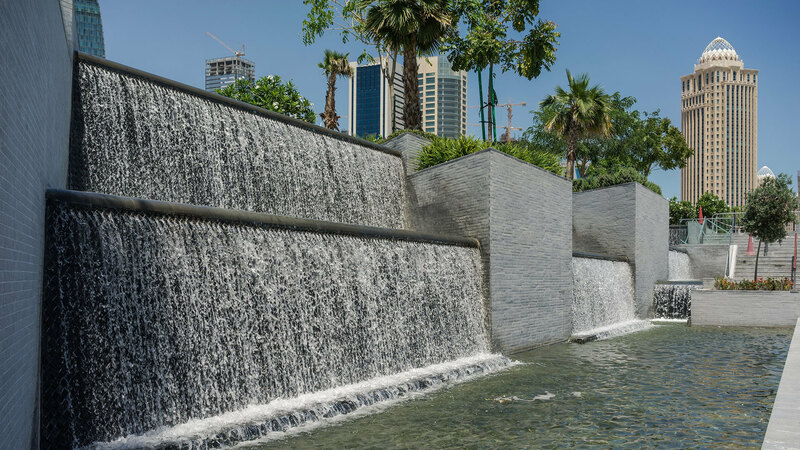 An urban oasis of nature and calm is introduced in the heart of a busy city. 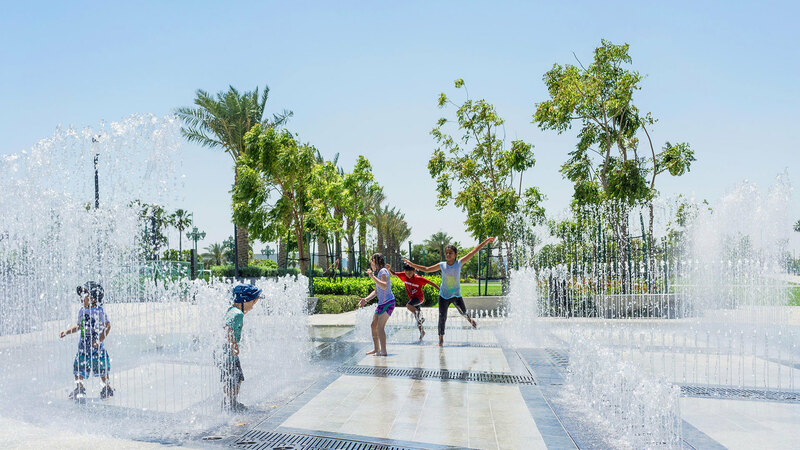 The first urban park offering a wide range of activities in Qatar. 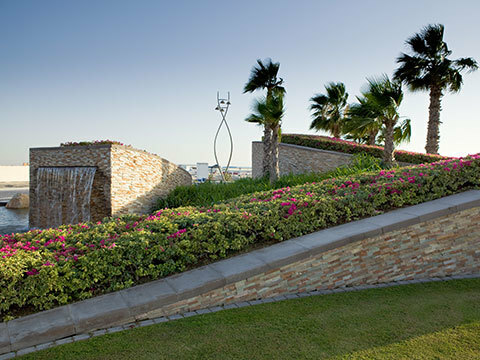 Doha’s Sheraton Park introduced a public green space to the community and serves as an urban refuge from the busy city. 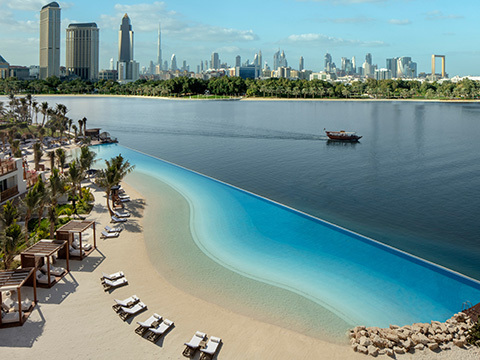 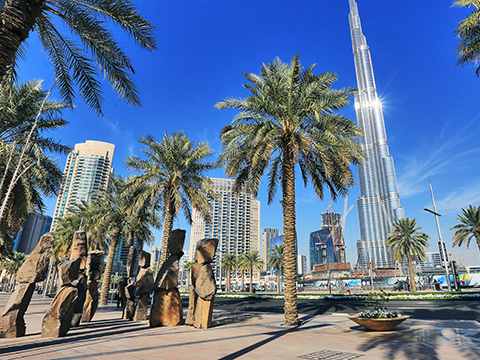 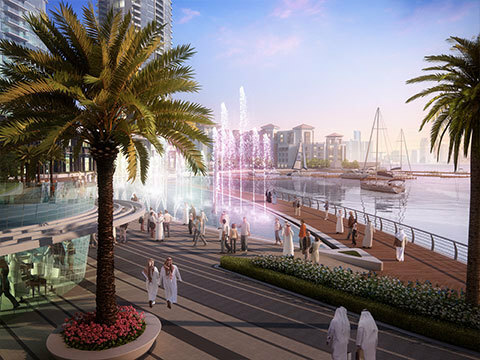 High-end hotels and commercial buildings accentuate connections to the park which offers visitors a tidal pool, wet wadi abstract gardens, sunken gardens with multi-level water walls, and children’s play areas. 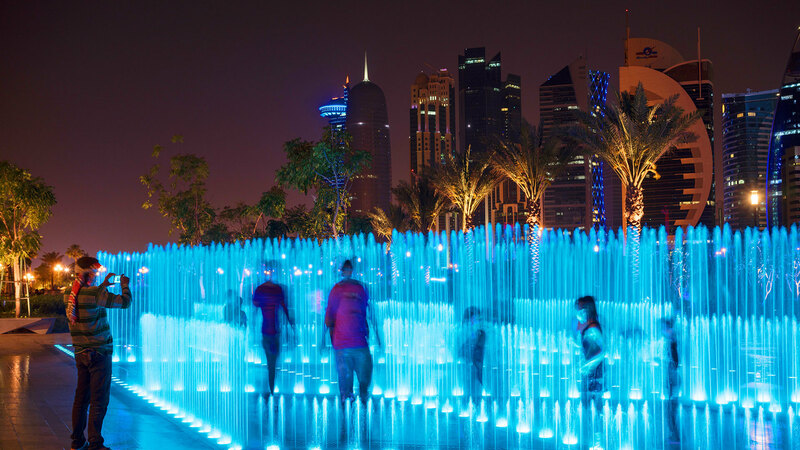 Cracknell’s design for the park creates green planes and waterscapes that compliment Qatar’s natural environment of dunes and wadis. 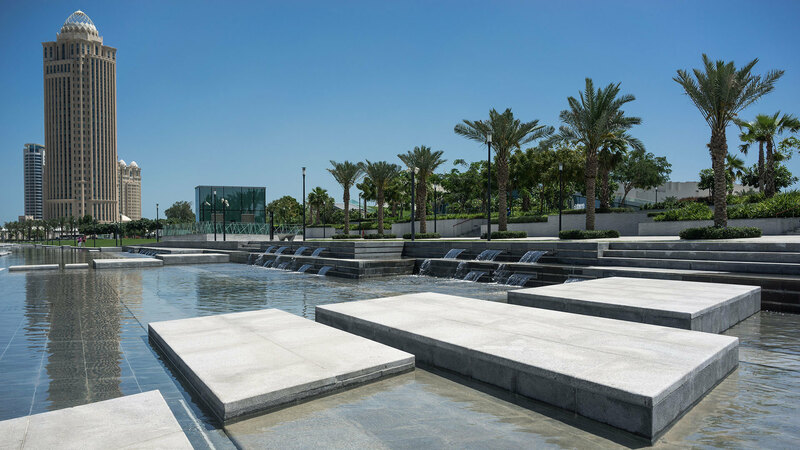 Covering four stories of underground car parking, the park design adds extensive gardens, shaded seating areas and cycle paths that promote healthy outdoor living. 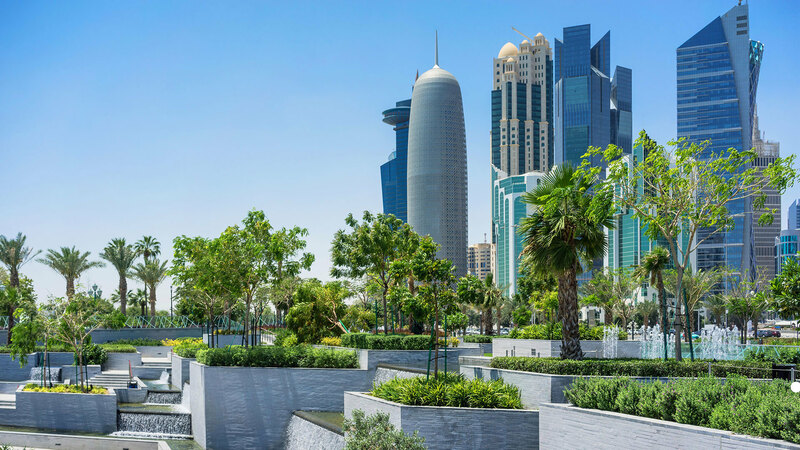 Green spaces improve the microclimate within an otherwise hard urban atmosphere, adding life, nature and health to the heart of Doha.